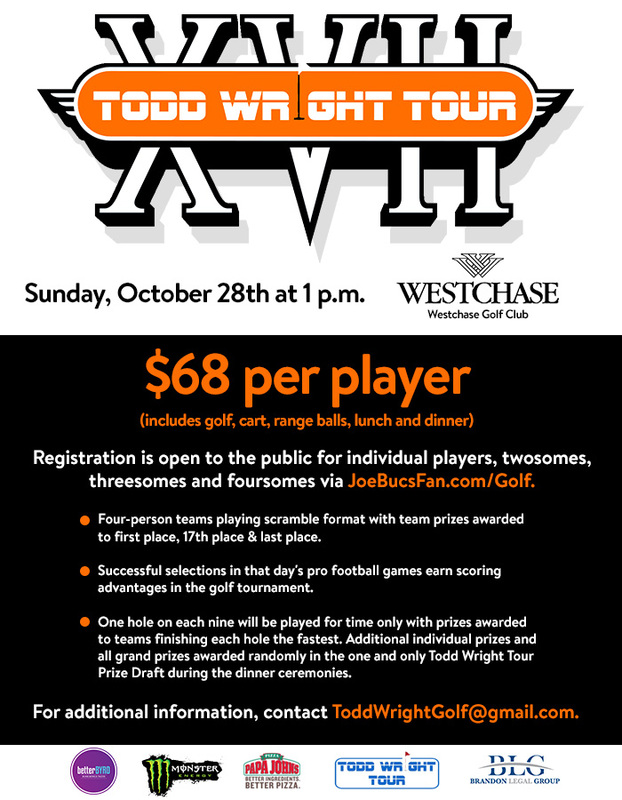 The Todd Wright Tour 2019 Season Opener in February sold out. 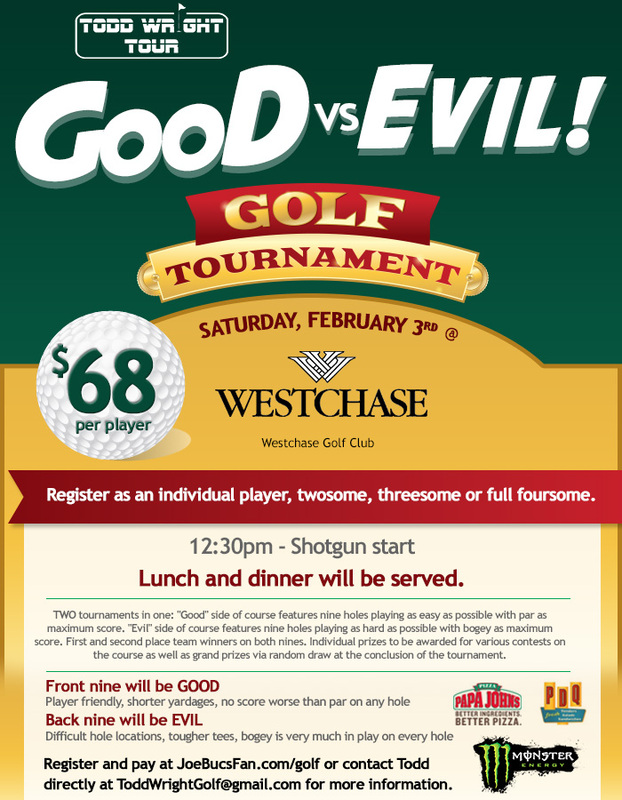 Another great event. 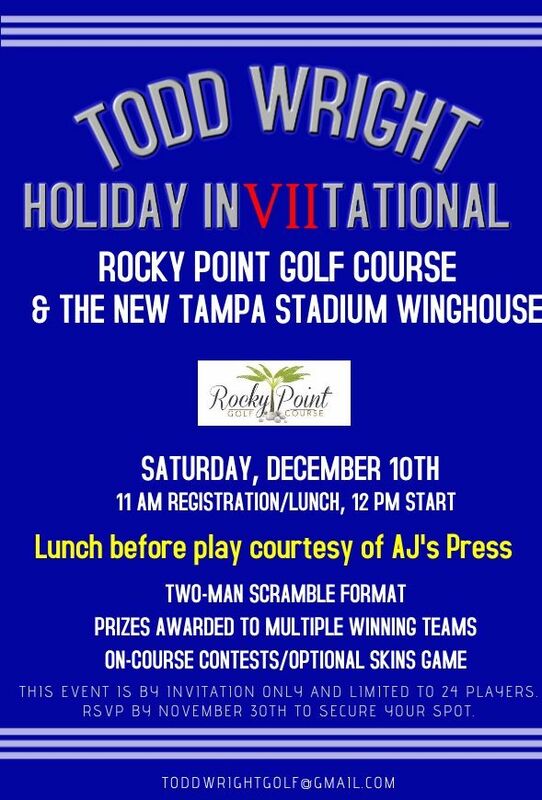 Sincere thanks to all 112 players, Wentworth Golf Club, Monster Energy, Papa John’s of Tampa Bay, betterBYRD, Brandon Legal Group, Ameriprise Financial and The Incredible Duck Race benefitting Tampa Kiwanis Club. Thank you for another SOLD OUT event. 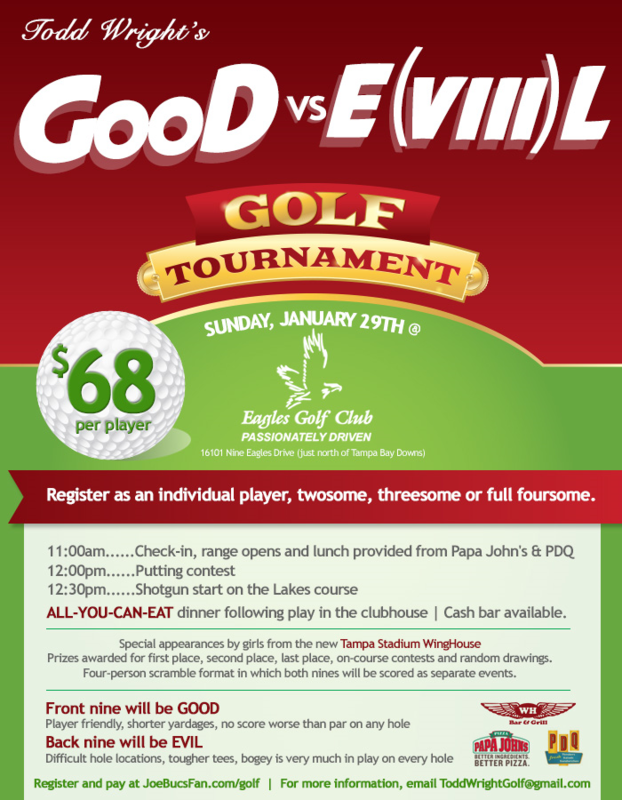 Todd Wright congratulates both the Good Champions (Joey DiPompo, Kyle Grice, Benjamin Ham and Dave Wirth) and the Evil! 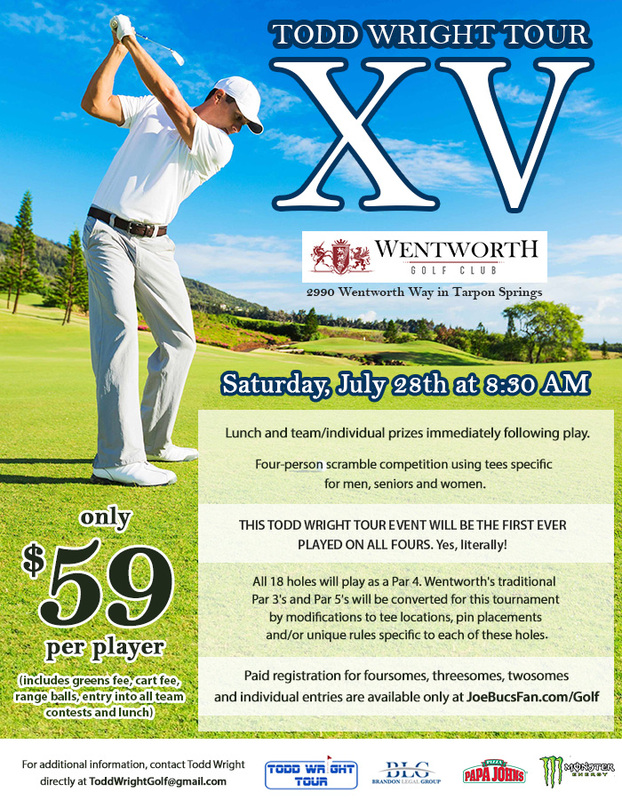 Champions (Maci Wilson, Terry Papineau, Lori Lepow and Latanna Stone) from this sold out event at Westchase Golf Club. 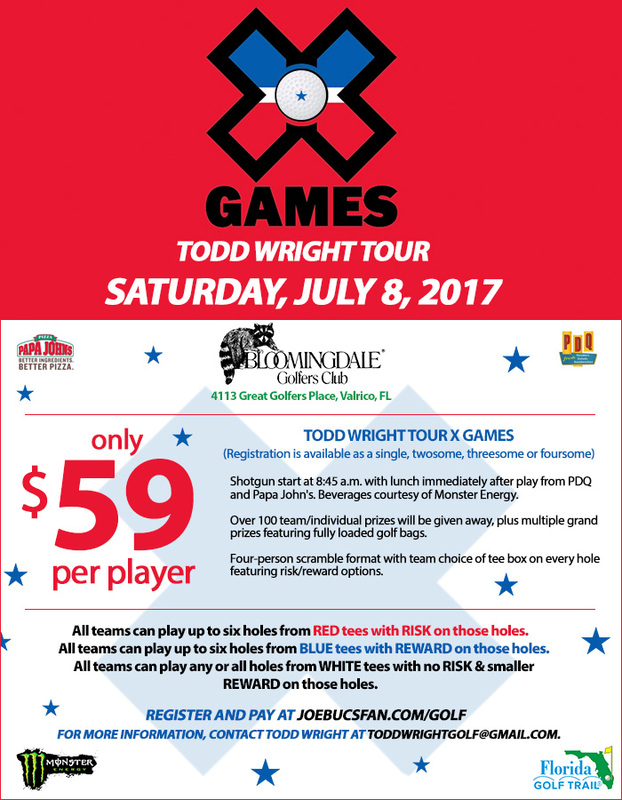 Congratulations to John Lamberg’s team of Mike Caporale, Greg Younger and Coach Younger for their victory in the Todd Wright Tour X Games at Bloomingdale Golfers Club, on July 8., 2017. 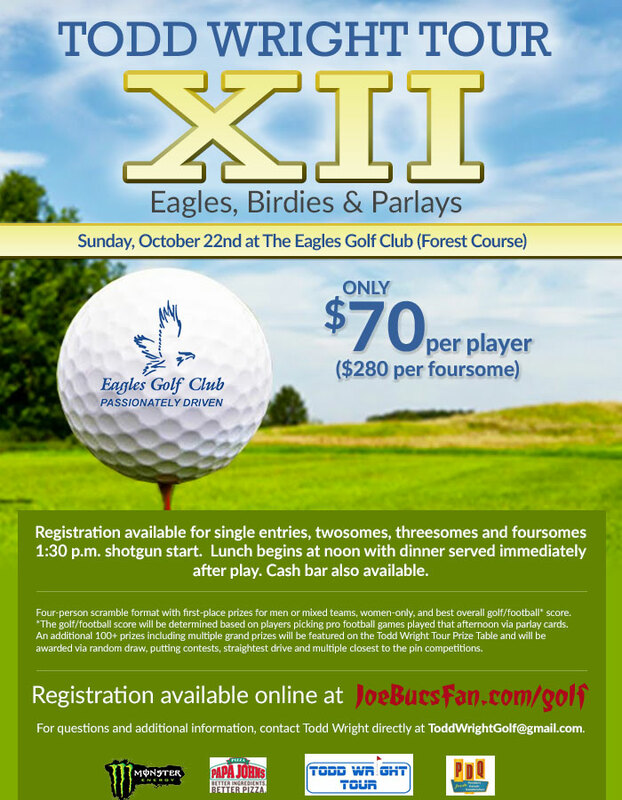 28 foursomes competed in this sold out event for over 150 prizes, including free golf from over 25 Tampa Bay Area courses. 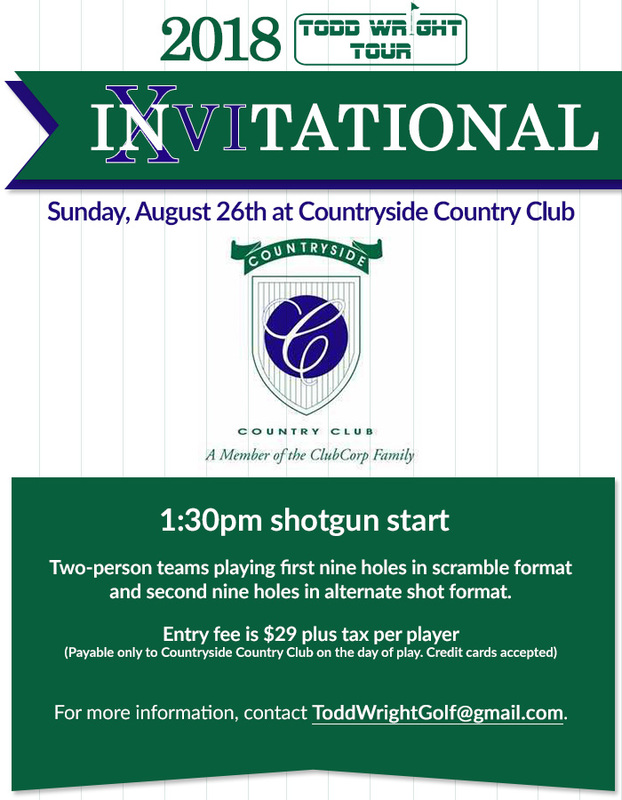 To be the first to receive information on upcoming events, contact Todd at [email protected]. 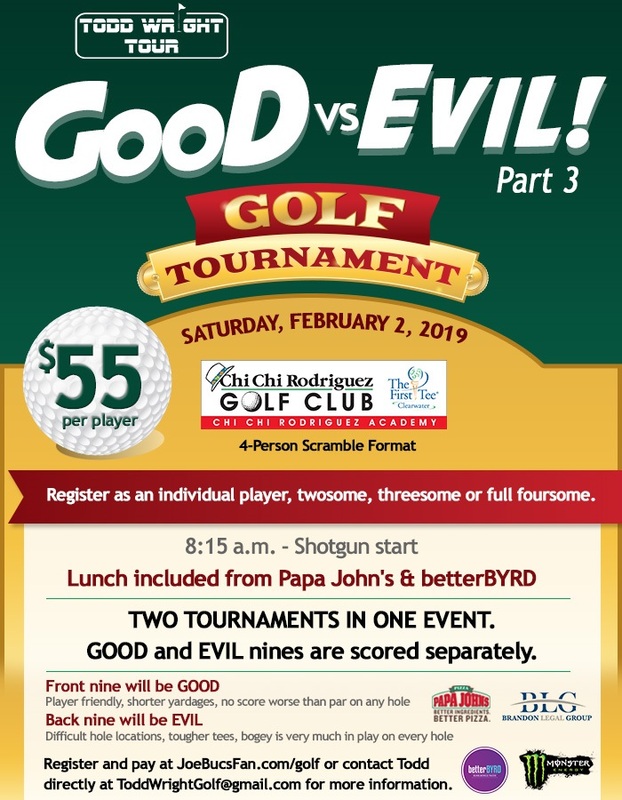 Congratulations to teams captained by Rob Moody, Mark Trevethan, Chris Elias and Benjamin Ham for winning their brackets. 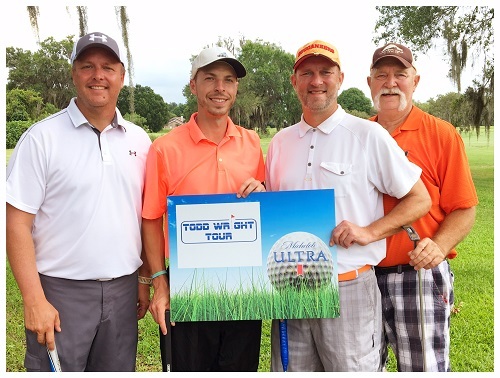 Tom Kolbe and Mark Laudadio were the big grand prize winners of Yuengling/Wilson golf bags filled with balls, a hat, a Tampa Bay Downs driving range pass, golf for two at River Hills CC and a Papa John’s Pizza Party. 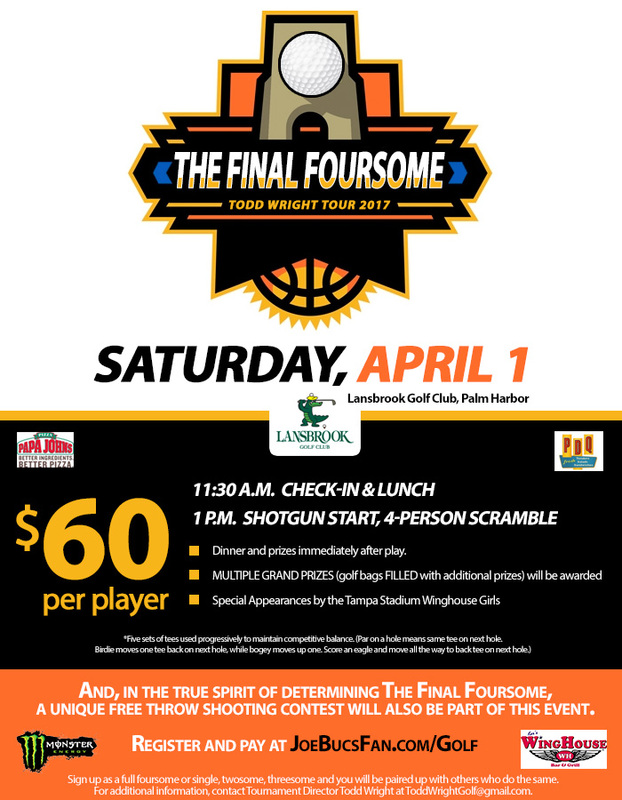 Many thanks to Lansbrook Golf Club and the Florida Golf Trail for hosting this SOLD OUT event. This January event was SOLD OUT!!!!!! Thanks to all our wonderful partners for their support on this successful event! 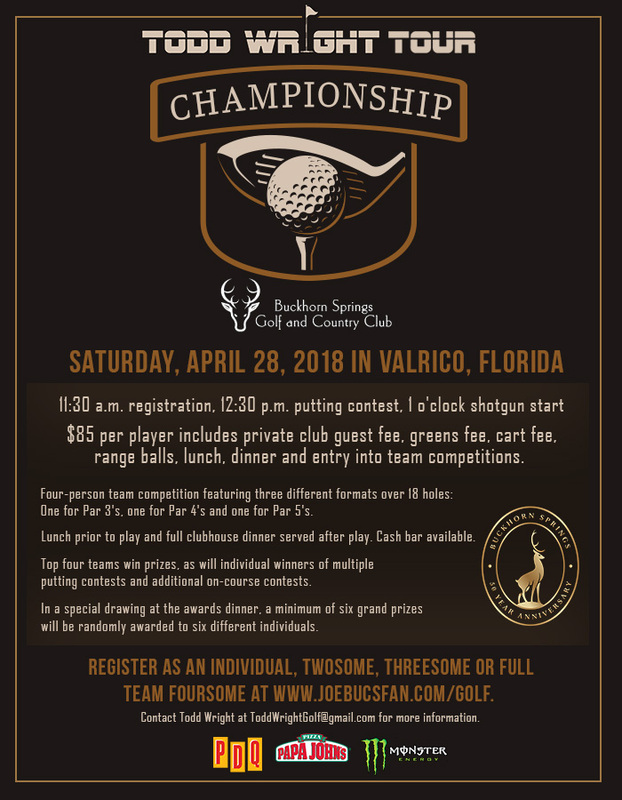 Congratulations to Jim Garrison, Maci Wilson, Chris Newcom, Jeff Hageman, Dennis Nuce, Charlie Breakiron, Benjamin Ham and Dave Wirth on their prizes for golf well-played. 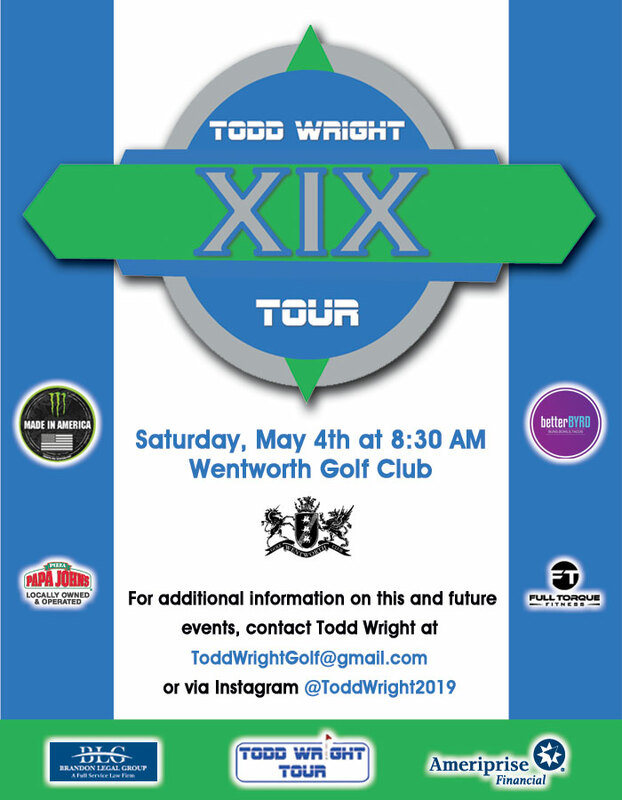 Todd Wright proudly supports and endorses Paradise Golf and thanks them for all they do for the Todd Wright Tournament Series. 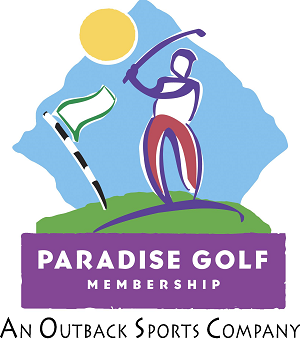 Click the logo here for information about how a Paradise Golf membership can save you money at more than 70 of the top golf courses in the Tampa Bay Area.